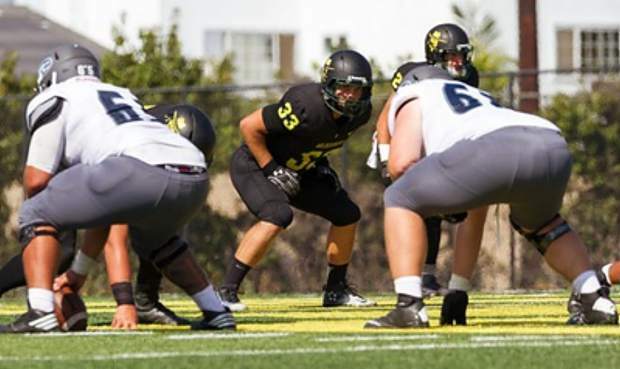 Wulfe Retzlaff emerged as one of Golden West College top defensive players this past season. It’s early September in Huntington Beach, and the Golden West College football team is hosting the two-time defending California Community College Athletic Association champions, Fullerton College, in the 2018-19 season opener. With Fullerton driving deep into Golden West territory, one of the greatest linebackers to wear Truckee red and white begins inching toward the line of scrimmage. As the ball is snapped, Wulfe Retzlaff shoots through the line, but Fullerton running back Infant Eckford has a step on the blitzing linebacker. A quick change in the angle of pursuit, however, closes the edge, and Eckford becomes prey, crushed violently to the turf along the sideline. It’s the Truckee alumnus’ first big hit in his first game on the collegiate level and in part, the play was another step down a long road since his last snap on the Wolverines football team in 2016. Retzlaff was a three-year starter for the Wolverines from 2014-16, leading the team in tackles and winning the program’s annual Wolverine Award — Truckee’s nod to old school, smash mouth football players — in each of his three years on varsity. 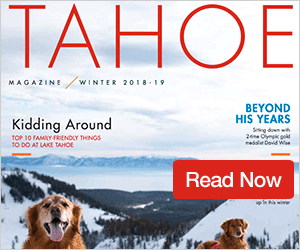 “He’s the most physical player that I’ve coached since I’ve been the head coach, and one of the top most physical players in our history,” said Truckee Head Coach Josh Ivens. “Wulfe was our guy for three years. He was my guy. I knew he was going to make plays. 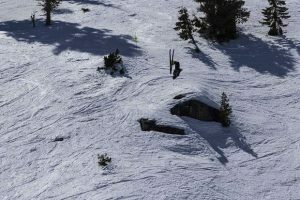 Retzlaff’s name now litters the Truckee record books. Each of his three varsity seasons ranks among the school’s best ever for a defensive player. He is second in school history with 372 tackles, trailing only Ryan Macken’s 386 tackles from 2006-08. Retzlaff’s 135 tackles in 2016 is fourth all-time for a season at Truckee. He also owns the Wolverines record for most tackles in a game with 23 against Spring Creek his senior year. Following graduation, Retzlaff walked on at the University of California, Davis, where he redshirted his freshman year. After consulting with one of his teammates from high school, Cole Harrity, Retzlaff began considering the junior college route, and soon had aspirations of experiencing coastal life in Huntington Beach while playing football for the local junior college. Once Retzlaff decided on Golden West College, it wasn’t long before the Rustlers coaching staff learned what those around Truckee have long known — Retzlaff is the real deal. It’s the start of summer and Retzlaff is working with his new team at Golden West. His ability to quickly pick up the program’s defense, work ethic, and instincts soon impress coaches, who realize they have a player that might man one of the team’s two starting linebacker positions on its 4-2-5 defense. At 6-foot, 1-inch and 212 pounds, Retzlaff impressed coaches with his physicality, and quickness to the ball, but it was his intelligence as a player that made him stand out during the team’s first practices. Corcoran said the linebacker is also unique in his approach, constantly asking questions in order to better understand what opposing offenses are doing. By putting in extra hours in the weight room, sweating through additional conditioning drills, and finding time to study game tape between classes as an engineering major at Golden West, Retzlaff earned the trust of coaches and more time on the field. The Rustlers inserted him into the team’s shield punt formation, relying on Retzlaff to man the most important blocking position as part of the three players protecting the punter in the backfield. Retzlaff also approached coaches about playing offense. As a former high school running back, the Rustlers used him on the team’s heavy, ‘Money Group,’ a combination of defensive lineman and Retzlaff at running back that resulted in two rushing touchdowns. The Rustlers opened this past season on Sept. 1, at home against the back-to-back California Community College Athletic Association champions, Fullerton, in what would be Retzlaff’s first live action since high school. And though Golden West suffered a 30-27 defeat, his punishing hit against Fullerton’s running back stood out as the moment he realized he’d arrived as a college player. Retzlaff finished the game with a team-high six tackles, including a sack. He also recovered a fumble. By the time the Rustlers’ season had concluded, Retzlaff had racked up the third most tackles on the team with 59 stops, including 33 solo tackles. He also had 3.5 sacks, four tackles for a loss, and two fumble recoveries in helping guide Golden West to a 6-5 overall record. After his standout season, Retzlaff has already begun receiving interest and offers from schools above the junior college level. The first contact day for Division I schools was earlier in the week, and Retzlaff said he’s taking his time before deciding where he heads to next. Ideally, he said a school that offers the best academic opportunities and a chance to play is where he’d like to end up, but if push comes to shove, the former Truckee great is leaning on his ability in the classroom over his talent on the field. 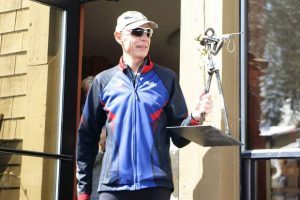 “As far as seeing the field, I know I can work to the point where I’ll be able to start,” said Retzlaff. After his season on the junior college level, the coaching staff at Golden West said they expect Retzlaff to receive Division I offers in the coming weeks. “We are expecting him to get offers. 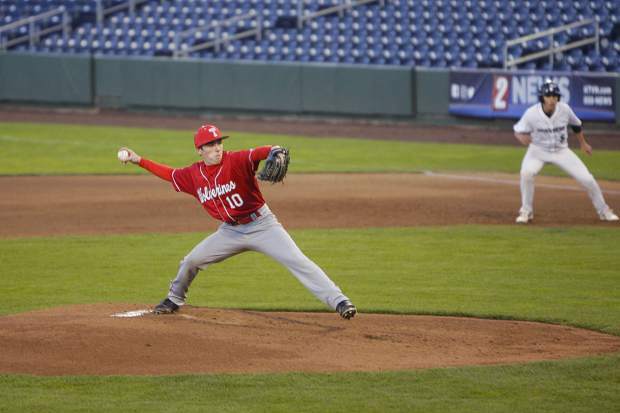 He filled the stat sheet for us all year and he has a really good GPA,” said Corcoran.